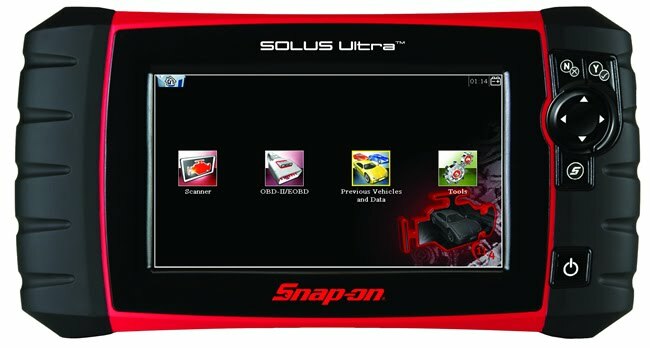 We have recently made a significant investment in the latest Snap On Solus Ultra computer diagnostic machine. This goes beyond the standard OBD II code readers delving deeply into the vehicles full computerised parts. We can read dashboards, ABS, airbags, gearboxes and ECU's as well as providing real time data. The MOT test will now fail a vehicle if there are any warning lights present durin the test. We have prepared for this by investing now to give all our customer the reassurance we can deal with every eventuality. We operate a fixed price policy for computer diagnostics. We will only charge £25 for a full computer session - many of our competitors and auto electricians are charging up to £50 just to connect to a computer. We feel that our prices reflect a great cost saving whilst covering the substantial costs of this type of equipment.